Everybody loves a food festival. Everybody especially loves a FREE food festival. What if this festival happened weekly? Mind. Blown. 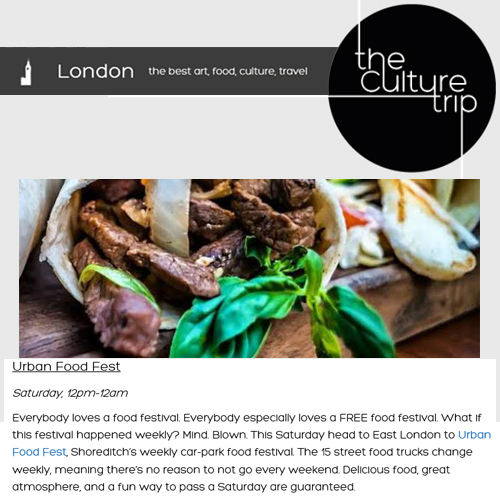 This Saturday head to East London to Urban Food Fest, Shoreditch’s weekly car-park food festival. The 15 street food trucks change weekly, meaning there’s no reason to not go every weekend. Delicious food, great atmosphere, and a fun way to pass a Saturday are guaranteed.